Mobile app that provides instant playback and GPS tagging from an Axon camera. One app. Instant video playback. Live video streaming. Instant replay. And on-the-spot evidence. That’s the power of Axon View. 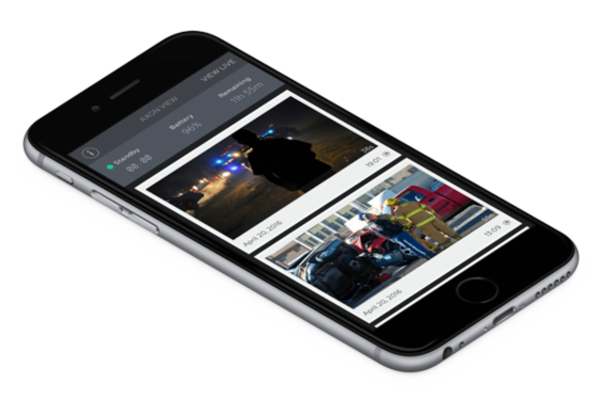 This mobile application turns your routine video into valuable evidence, and it lets you do your job without distractions by automatically filing your video into the correct retention schedule. When you need it, evidence can be accessed quickly with a simple keyword search. When events are unfolding, Axon View connects with your Axon camera to provide instant video playback and GPS tagging – from the field, in the field, so you can get to the truth faster than ever before. Connect your mobile device with your Axon camera to provide instant video playback and GPS tagging through Axon View, our smartphone application. Fill out the form to get in touch, view our purchasing plans, or download the app.